I’m in an Irish pub having a pint of Guinness. Where? It doesn’t matter – and that’s the point. 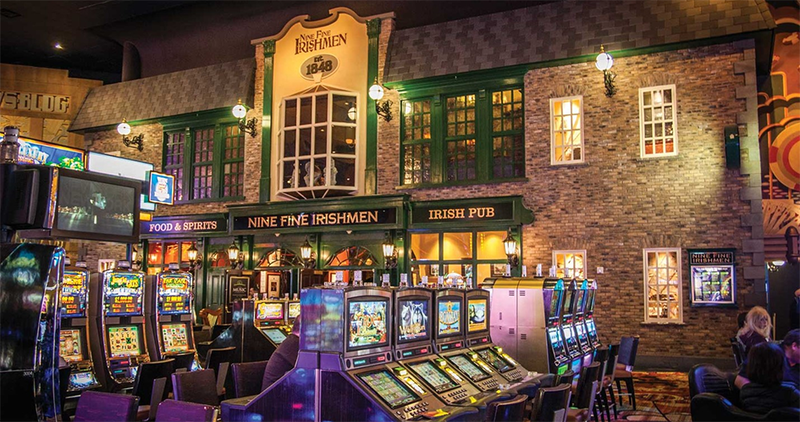 I’ve not done exhaustive research, but intuitively, I’d bet there are few countries in the world that don’t have an Irish pub – or a maybe not so reasonable facsimile that they’d like you to believe is Irish. So I started thinking about this. Ireland is a small country. It’s never been an empire. It’s certainly not an economic power. And unlike other smallish countries that have global notoriety – I’m thinking Italy here – Ireland isn’t know for great food. So why, I’m thinking, is Ireland so cool? Could Ireland have more global cultural impact and influence – per capita and per square mile – than any other country in the world? So if you’re thinking Jamaica, ok, maybe top five. It’s small, for sure, and reggae has some legs. But what’s the Jamaican equivalent of St. Patrick’s Day? Well, OK, maybe 4-20 – but that’s not mainstream. Yet. How about France? Well, it’s bigger as a starting point – probably disqualified on size. But even if, have you ever heard of a football team named ”the fighting Frenchmen?” China has a lot of restaurants outside of the mainland, and gets a lot of attention for Chinese New Year. But come on – more than 20 percent of the worlds population lives in China. They’ve got to eat somewhere. So think about it – Ireland, like a little company, is unique, wielding cultural influence far greater than its size and history would justify. Switching gears: I’m reading this morning a Morgan Stanley report on the Internet of Things—the IoT. Sure, more boring than a pint of Guinness and a shot of Yellow Spot – but some interesting content nonetheless. Like: “75% of IoT device manufacturers prefer Wi-Fi for connectivity.” Wow! Think about that. Wi-Fi, the Wild West of wireless, the poor stepchild of connectivity that literally grew up on urban streets with an emerging generation of hipsters “war chalking” street curbs and building corners to identify the spots where one could “drop in” on other people’s Wi-Fi. That’s a long way from top billing in a pointy-headed, Morgan Stanley report on a global economy-bending topic as weighty as the IoT! So what does this have to do with a pint of Guinness? Not much, but in the world of global connectivity, iPass is Ireland: little company big impact. We don’t have a lot of people (fewer than 170 at last count). And like Ireland, our economy has not been great (but it is improving!) And we don’t have pubs in every country of the world, but we do operate in about 124 of them. And we boast partnerships with some of the largest companies in the world – from AT&T to DTAG to BT to Orange to many more. And this little company does in fact have the largest Wi-Fi network in the world. And more capacity for data than any other company on the planet. I’m not expecting any parades for Wi-Fi or iPass this month, but if connecting people—and the millions (billions) of IoT devices, anyplace in the world – is important, it’s not bad being little iPass.